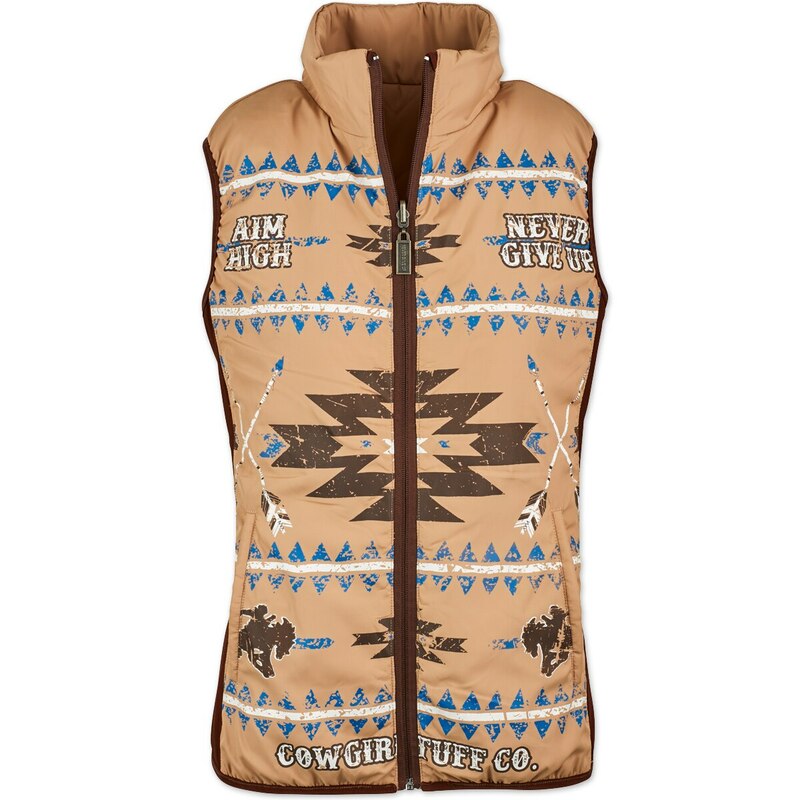 The Cowgirl Tuff Women's Never Give Up Vest is a stylish,quilted vest that is also reversible! The outside is tan with chocolate side panels and the inside is Aztec Print with front pocket detail. 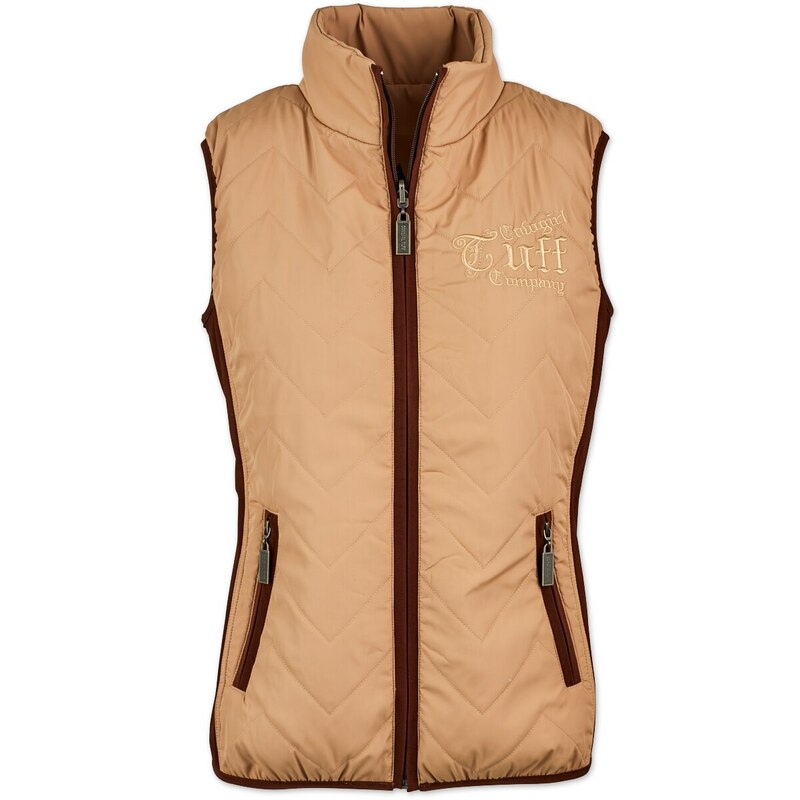 A highly versatile vest, the side stretch panels allow you to move about freely whether its at the barn or around town. The 55% Polyester/45% Nylon fabric is also ideal for all day wear.